What will you do if you get some wonderful music on Mac and want to copy these songs to your iPhone to enjoy them anywhere you want? 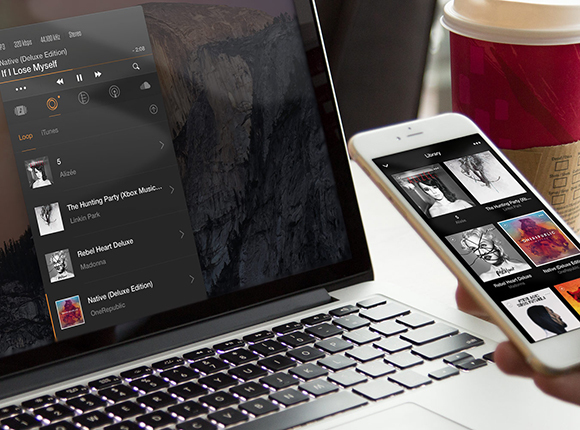 Transferring music between Mac and iOS devices might be one of the hottest topics today. For iPhone users, rather than carrying a separate MP3 player, it’s worth using the iPhone as a music player for more convenient enjoyment. Although there are many solutions to this problem, you could spend the most of your week sifting through those options, or you can get your answer in this post instead: to transfer Music from Mac to iPhone. iTunes has been regarded as the most common way to transfer music from Mac to iPhone. However, it could be challenging for newbies when they are in dealing with those complicated functions. 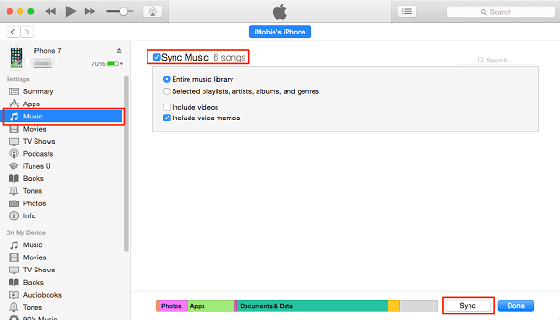 If your iPhone has been paired with your Mac, you can use iTunes directly to sync Mac songs to your iPhone. Just follow the simple steps below to learn how. Go to iTunes “File” menu and select “Add File to Library” to add songs from your Mac hard drive to iTunes library. Go to iTunes “View” menu and choose “Show Sidebar”. Connect your iPhone to your Mac using a USB cable. When it is connected successfully, you can see your iPhone in “DEVICES” section. Go to “Music” tab and check “Sync Music”. Then, select the songs and click “Apply” to move them from Mac to iPhone. If you use iPhone for music enjoyment on-the-go frequently, you should probably want to know how to transfer music from Mac to iPhone. However, not all of the music on your Mac are supported by your iPhone. It supports only a few formats like MP3, WAV, AAC, AAX, Apple Lossless. Although iTunes is the only software provided by Apple to manage your media files on iOS, it has some deficiencies which make users look for other alternatives to get their Mac music on iPhone. 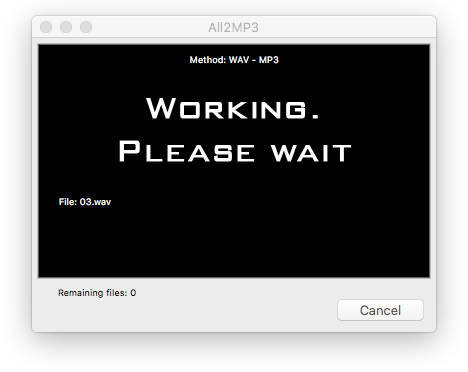 All2MP3 for Mac, a small handy tool for audio/video to MP3 conversion on Mac, which may help. It allows you to convert any audio file to MP3 effortlessly and all you need to do is just follow the instruction below. First, you need to download and install All2MP3 for Mac. This software is in such a small size, so it won’t take you much time. You can also be assured that there is not any malware or virus contained. 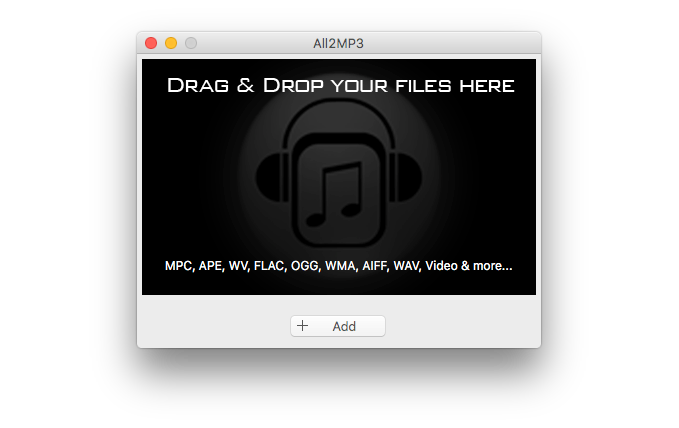 Open All2MP3 for Mac and you will see a simple interface with the guidance of “DRAG & DROP YOUR FILES HERE”. You can follow it to add your audio files or click on the “Add” button to choose the files from the source folder. Once the audio files have been uploaded successfully, you will see a prompt window with the file list and several tweaking options. After you get all settings ready, click “Convert” and wait. Those converted files will be saved in the folder you choose. All in all, the above solutions are just what you are looking for to transfer music from Mac to iPhone. You can opt for the more suitable one to get the work done. Although using iTunes requires no third-party software, it will make the synced music replace the existing music. To avoid that, All2MP3 for Mac is a more secure solution. If your friends are still searching for a way on that, don’t hesitate to share this post with them.